Here is what’s going on. 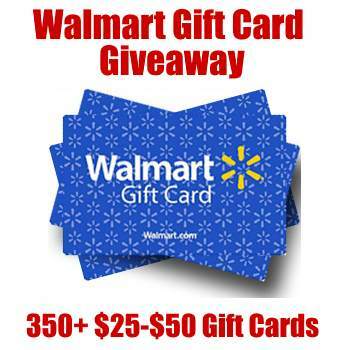 Smithfield is offering up 35+ free $25 and $50 Walmart gift cards good at any Walmart stores. Just keep in mind that you need to be 21 years old or older since they are an alcohol company. This offer is being hosted by them, on their site, and will end December 15th, 2017. All you need to do is visit them using the link below and create a free account. You will see the offer live on your dashboard once you are logged in. Visit them on their giveaway page over here. Check out this new instant win game from Winstons (called the Bold Spin To Win Sweepstakes). They are giving away a ton of prizes: $100 or $500 Visa Gift cards instantly. The best part is that since this is an instant win game, it can be played daily through the end on of the promo on September 30th, 2017. This is a new giveaway from Marlboro where they are offering up more than 185,000 freebies. It is all part of their Full Time Adventure Sweepstakes and Instant Win Game. You can play this instant win game daily through October 8th, 2017. Just remember you need to be at least 21 years old to make an account with Marlboro. 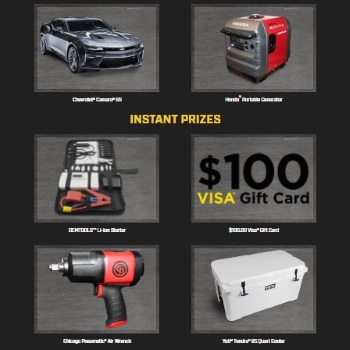 Take a look at all the prizes available list below. 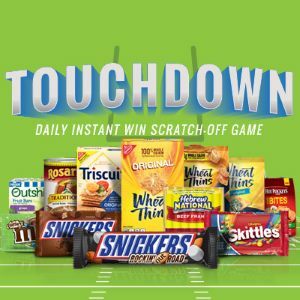 Take a look at this brand new instant win game that Kroger is hosting. It’s called their Game Day Greats game and there are over 87,000 prizes that can be won instantly. You can play daily and there are some very good odds. Visit their site and play today. We have also listed all of the prizes that are up for grabs. Ends September 23, 2017. This is a great sweepstakes by the generous folks over at Grizzly. 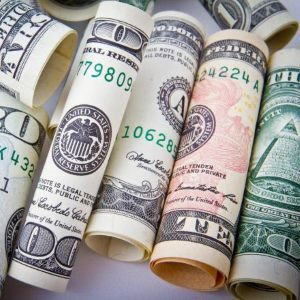 They are offering up over $500K in prizes. 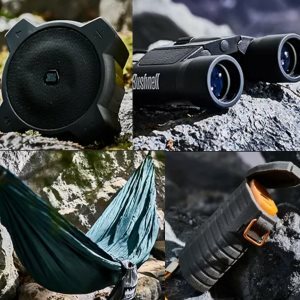 They are offering up $2,000 Visa Cards, iPad Pros, GoPro Hero 5 Cameras, Coolers and much more. This ends on 8/22/17 at midnight and you can enter each and every day until that time.